Living in Vancouver my whole life, I never really understood why volcanic eruptions in Iceland was such big world news. That was until I took my first flight to France. You see, I thought that in order to get to France, we would fly across Canada, and then across the Atlantic Ocean, finally reaching the UK in a left to right trajectory around the Earth. But I was so wrong; flying from Vancouver, we flew OVER the north pole of the earth (where Greenland is) and then DOWN to the UK, right over Iceland, which is home to over 130 volcanoes, 12 of them considered to be active. Ever since I learned of our trajectory, Iceland has always seemed a mystery to me. Its country’s name “ICE”land, makes me wonder if it is a barren country covered in ice and snow. Perhaps, the same way many American’s view Canada. (and for the record, No, Canada is not covered in ice and snow. Some of it is, but the majority of Canadians (99.999999% of us) do not live in igloos or drive dog sleds. Hey, we barely even get snow in Vancouver most years!) But I digress, I wanted to learn what Iceland was really about. One of the things I have researched recently is the best things to buy in Iceland. Have a read if you have kids who like souvenir shopping or you are always looking for the best gifts to bring back home from Iceland! Let the Iceland Planning Begin! Want to know what to pack? 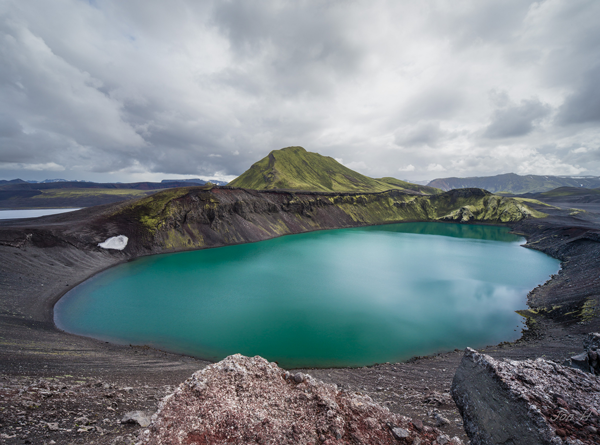 Check out what to pack for Iceland in July. 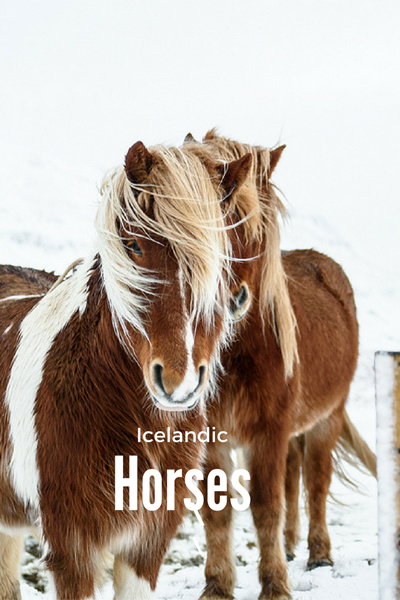 If you are limited on time for your Iceland visit, check out this 5 Day Itinerary from We 3 Travel. Winter and Summer offer different experiences. In summer, experience the midnight sun, but in winter, gaze at the northern lights dancing in the sky. Our friends at Zig Zag on Earth have some suggestions on the Best time to visit Iceland if you are looking for more tips! When I started doing my research on Iceland, I learned a lot about the land of FIRE and ICE. While I struggled to read, let alone pronounce the foreign sounding Icelandic words ( you try and figure out how to say SnÃ¦fellsjÃkull – it is a 700 000 year old volcano by the way ), I was flooded by beautiful landscapes of all types, from volcanos reaching for the sky, to enormous glaciers and beautiful waters such as the famous Blue Lagoon, a geothermal salt water spa. We try and find activities that are fun for both kids and adults and the blue lagoon seems to tick off both of those boxes! Its warm waters originate 2000 meters below the surface and on its way to the surface, it picks up silica and minerals. The surface temperature can range between 89-104 °F (37-40°C)! I cannot wait to see what the kids think when they see an actual erupting volcano. I have never even seen a volcano up close, let alone an active one! (You can find useful information about the volcano activity here). Then look up to the expanse of the night sky to wonder at the amazing aurora borealis, or northern lights as most people know them as, as they dance across the sky. I haven’t seen these since I was a child in Northern British Columbia and still remember those days staring up at the dancing lights. But wait, we are not finished with the natural wonders, like the Strokkur geyser which can erupt up to 70 meters into the air! 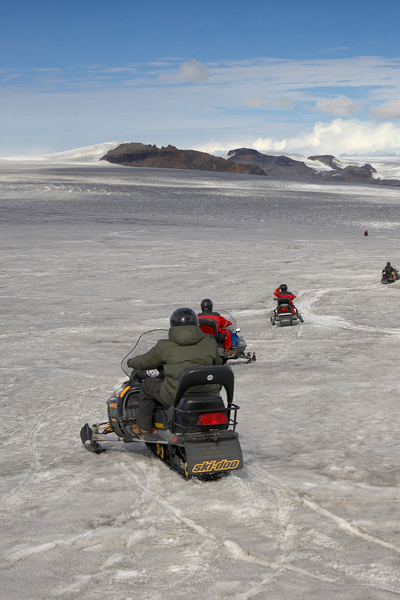 Or how about a a snowmobile tour or a dog-sledding ride while visiting Iceland! Did you know you can do this in the middle of summer? No, it is not just a winter activity in Iceland! Visiting Iceland is not all about the landscapes, its unique animals, hardened to the tough climate just add to this amazing place! 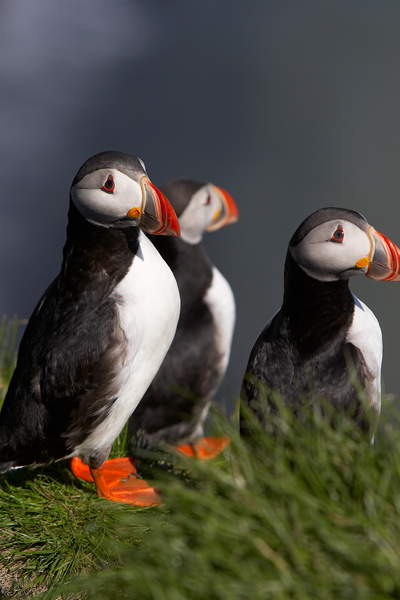 With abundant wildlife from Icelandic horses and puffins, the kids will want to take one home with them and I am certain my camera will get quite the workout capturing these creatures in their natural habitat! Iceland is a small country by population, which in 2014 was 325 000 people. 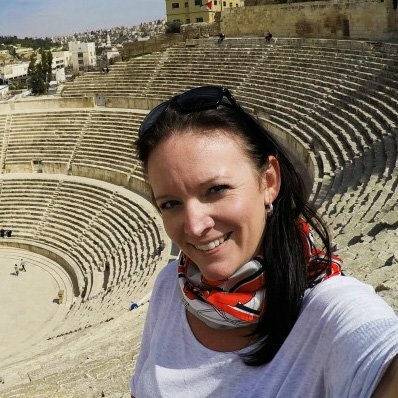 It is well known as a very safe country to visit, especially with kids. It enjoys a low crime rate and very friendly locals. The larger hazards are the changing weather conditions and the dangers associated with the outdoors (injuries or getting lost). English is widely spoken, which is a comfort to many travellers. 2017 seems so far away, but we are already filling up school holidays with our must-visit destinations, including visiting Iceland with kids. How much does it cost to travel to Iceland? Trip to Iceland from Pretty Wide World! If you only have a limited stopover in Iceland – here is what to do in 48 hours! Want to know what to expect in the Winter In Iceland? Have you been to Iceland? if not, what draws you to this land of contrasts? Let me know in the comments. If you found this page helpful, i would love it if you would pin, share or tweet it on whatever social media platforms you use! Every little bit will help us fund our travels and continue to bring great content to our site! You can hover over this pinnable image (or any image on my site) to quickly Pin it! Iceland sounds really beautiful, almost like a fairy tale land. It is definitely on my list to visit. My cousin used to live there and she loved it! We have been researching to take our son for next Summer holiday. I love the wonderful idea of outdoor educational dreams!!! we cannot wait to go! It is so nice to dream of a trip! Sounds like you have some great activities planned! We’ve never been to Iceland, some of the landscapes look amazing!! We absolutely loved Iceland. We were there for 2 weeks with our then 1.5-year-old and quickly found out that Iceland is perfect for travel with kids. There are still many places we want to see though and we would definitely love to go back. Traveling with little ones is no harder than spending the day at home with them! As long as you don’t expect it to be a vacation where you get to check out from being a parent! We always work kid-free time into our days! 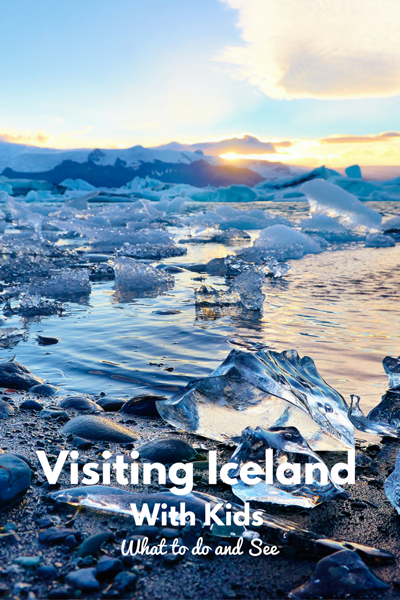 Thank you for doing all the hard work and coming up with Iceland “must sees” for families! I’ve long wanted to visit so will be bookmarking this for when we get the chance to go. Awesome write up! I went to Iceland in the summer solo a few years beack and agree its a blast, and its also so so safe. Have a great time! We absolutey loved Iceland and can’t wait to go back with our kids too. I haven’t made it to Iceland yet – only because I’m in Asia but those very cheap WOW Air flights are _very_ tempting! I saw it is in your pinterest collage, but I would absolutely recommend JÃ¶kulsÃ¡rlÃ³n – my friends who went said it was phenomenal and much, much less crowded than some other areas. 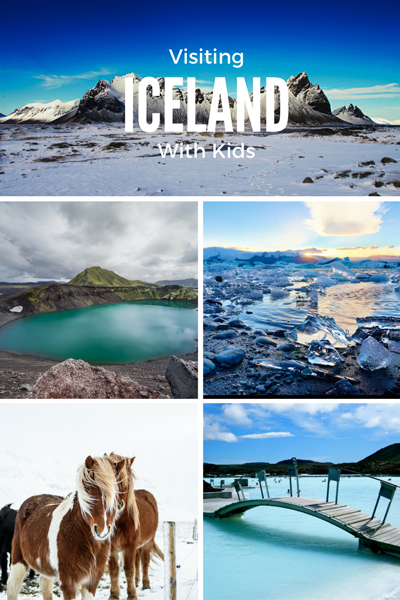 I’m still dying to get to Iceland, I think your kids will love it! awesome thanks for the tip!! 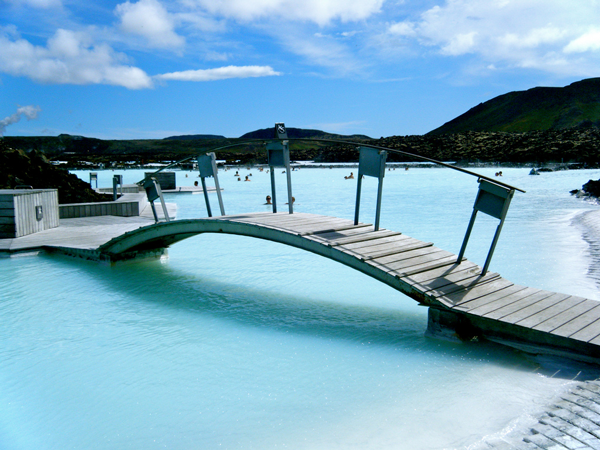 My husband and i have been tossing around the idea of an iceland trip in the near future…. I have pinned this to share with him!! Looks like an amazing trip! Iceland has always been on my list of places to go and I’d never thought of it before as a place even the little ones would have fun at. Great info! We went to Iceland last spring, it was really amazing! Thank so much for your work and info! It was my second time i have visited Iceland but after reading your inspiration and want to jump on the plane again. It looks so pretty! Flights are cheap too…maybe! I have placed Iceland on the top of my bucket list. It looks beautiful. This is a very helpful post as I’ll be with two kids. Thank you. Doesn’t it look gorgeous! Let me know when you start planning!